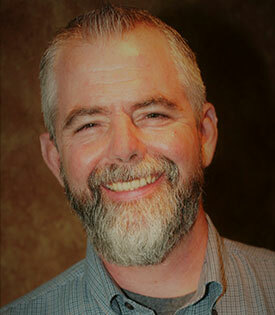 Jeffery Miller, LCPC, CADC graduated from Concordia University in 2002 with a Master of Arts in Counseling. He is also a Licensed Clinical Professional Counselor and a Certified Alcohol and Drug Counselor. Jeffery’s clinical experience encompasses a number of settings, including inpatient, outpatient, and residential treatment. Jeffery’s approach to therapy involves the development of a compassionate working relationship where clients feel safe to explore their life challenges while also exploring constraints to change in their lives. Jeffery believes strongly in the belief that our sense of personal identity can have a profound impact in creating positive change, as well as the benefits associated with the development of the authentic self. Jeffery places a considerable level of emphasis upon development of a warm, nurturing, sometimes light-hearted and humorous environment, while assisting clients with evaluating and overcoming constraints to change in their lives. Jeffery approaches therapy with the belief that clients’ desire to have positive change in their lives is often impacted by constraints that impede the ability to promote change. As a result, therapy involves the development of individualized, collaborative objectives to create positive change. Jeffery is also experienced in EMDR (Eye Movement Desensitization and Reprocessing) therapy which is a form of psychotherapy that enables people to heal from the symptoms and emotional distress that are the result of disturbing life experiences, including traumatic experiences. For more information regarding this form of treatment, please visit www.EMDR.com. Jeffery uses a combination of clinical approaches to best address the individual, unique needs of every client.